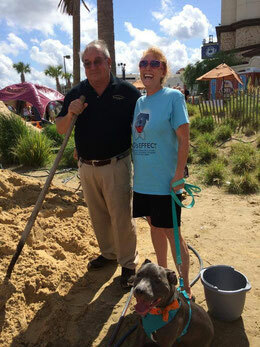 Last Saturday, District Attorney John DeRosier joined the Lake Charles Pit Bull Rescue as they competed in Building for Bucks at L'Auberge. 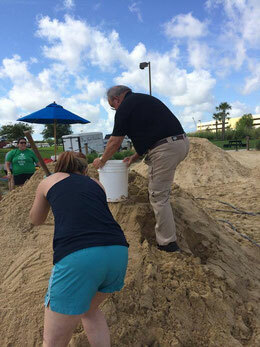 Charitable organizations from across southwest Louisiana competed in a sandcastle building contest. The Lake Charles Pit Bull Rescue finished second in the competition.